No previous knowledge is assumed, and in lively and provocative chapters the authors invite the reader to explore questions about the nature of science, religion, ethics, politics, art, the mind, the self, knowledge and truth. Each chapter includes inset boxes providing links to classic philosophy texts on the issues discussed. 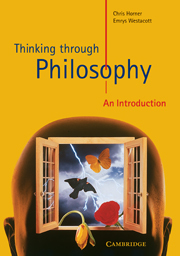 In addition, the book relates the adventure of philosophy to some of the key principles of critical thinking.